Samford University's Ida V. Moffett School of Nursing honored 11 alumni at its annual Courage to Care gala Oct. 10. The honorees, including Living Legacy award recipient Sondra Tatum McGinnis, were cited for their adherence to the maxims of the school's namesake, the late Ida V. Moffett. "Ida V. Moffett was characterized by her commitment to nursing education and her patient-centered approach to nursing practice," said Samford nursing dean Eleanor V. Howell in reference to the late nursing educator's oft-quoted belief that "It takes courage to care, to open the heart and act with sympathy and compassion." The 2014 honorees highlight the many opportunities nurses have to make an impact on patients, families and the world around them, Howell noted. Each nurse’s path is different, but the honorees are united by their commitment to providing the highest quality of patient care and leadership within the profession. They all hold degrees from the School of Nursing or its forerunner, Birmingham Baptist Hospital. McGinnis, who serves as director and associate chief nursing officer for Physicians Services at Erlanger Health System in Chattanooga, Tennessee, was cited as an accomplished clinician, administrator and philanthropist. In her current role, McGinnis is responsible for nursing oversight for all physician practices and is responsible for operations and financial stability of all primary care practices. McGinnis has a strong reputation for commitment to addressing and solving issues in her community. In 1998, she established the Chattanooga Therapeutic Riding Center, a nonprofit organization providing therapeutic horseback riding for mentally and physically challenged children. She served as president and director of the organization until 2004. Cathy Barber, charge nurse in the one day surgery care and pre-admission testing units at Princeton Baptist Medical Center, Birmingham. Cynthia Barginere, vice president for clinical nursing and chief nursing officer at Rush University Medical Center, and associate dean for nursing practice and chair of advanced practice nursing at the Rush College of Nursing in Chicago, Illinois. Carol Crow, a Birmingham-based solutions consultant for Kronos, Inc.
Sherry Fua, manager of Medical Affairs for Strategic Medical Operations for Johnson & Johnson in Irvine, California. Bonnie Moore, registered nurse, specializing in cardiac patient care at Trinity Medical Center. Mary Nunnally, flight nurse for Air Vac in Marble Falls, Texas. Rowland Ramdass, assistant professor, Hostos Community College, Bronx, New York, and an adult nurse practitioner in interventional cardiology at New York Presbyterian Hospital. David Sanford, clinical coordinator at St. Vincent’s Health Systems, Birmingham. Cody Walker, director of surgical and medical intensive care units at Brookwood Medical Center, Birmingham. Tammy Weeks, charge nurse, endoscopy lab, Princeton Baptist Medical Center. The event also recognized a roster of supporters, Howell noted, including gold sponsor John 3:16; benefactors Baptist Health System, Jo and Robert Kicker, Money Family Trust, Princeton Baptist Medical Center, Rush University Medical Center, Mr. and Mrs. Carl A. Schaefer; and patrons Brookwood Medical Center, Carolyn Chalkley, Jackie Dillard and Denise Elliott, Dr. Jill Cunningham, Faculty Supporters of Ida V. Moffett School of Nursing, Paula and Kerry Gossett, Gretchen and Randall McDaniel, Sherlock, Smith & Adams, Inc., St. Vincent's Health Systems, Sylvia Rayfield and Associates, Inc., Trinity Medical Center and a sponsorship in honor of Sue Axford, Lynn Conn and Mary Wallace. 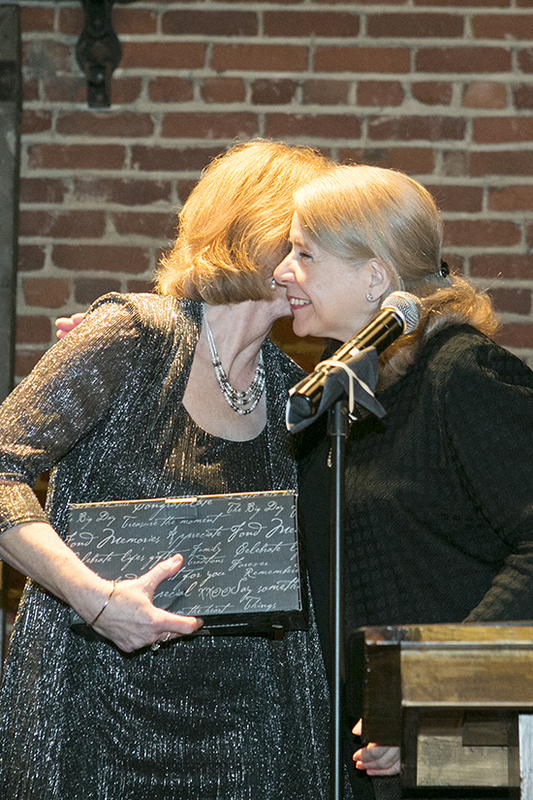 Samford nursing school advisory board member and retired professor Barbara Money was gala chairperson of the awards gala. Members of the advisory board served as hosts for the event.